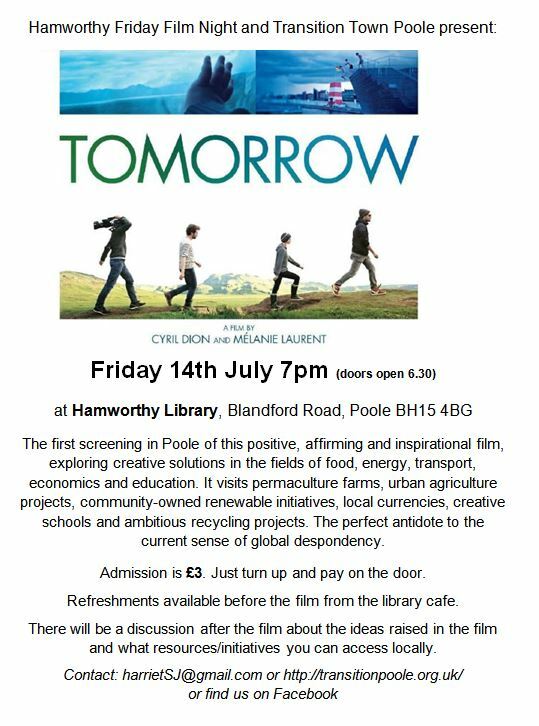 With The Dorset Equity Group, we held another showing of the film “Demain”, at the Civic Centre in Poole. All 42 Councillors were invited, and about 10 attended, along with 30 members of the public. 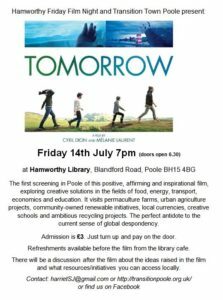 This is a positive, life-affirming and inspirational film exploring creative solutions in the fields of food, energy, economics and education. After the film, a short discussion was encouraged, and a follow up discussion to see what we can achieve locally. See https://transitionnetwork.org/news-and-blog/tomorrow-demain-available-last-uk/ for more info and a trailer.